While ranking for a particular keyword is imperative to your overall organic marketing, a major portion of your SEO performance relies on traffic generated by long tail keywords. According to Wordtracker, long tail keywords are those three or four keyword phrases which are very, very specific to what you sell. And Brick Marketing suggests that long tail keywords are a type of keyword phrase that has at least three, and sometimes as many as five words in the phrase. To explain it better, long tail keywords comprise of a phrase or a set of words that are specific to your core competency. These keywords are designed by keeping the search intent in mind. If you were looking to shop for shoes, you would typically type ‘buy shoes online’ or more specifically ‘buy formal shoes online’. Although you want your website to rank high for the keyword ‘shoes’, you will drive a tremendous amount of traffic to your website by optimizing for long tail keywords such as ‘buy formal shoes online’ as this is more specific. How to Optimize for Long Tail Keywords? The smartest way to ensure that your tech startup’s website is optimized for long tail keywords is to include a blog section and a comprehensive FAQ section. Actively blogging about trending topics in your industry, or including thought leadership articles, or writing valuable listicles, etc. will help you strengthen your SEO game immensely. For instance, if you are offering a SaaS-based automated AI marketing tool, then actively talk about topics around artificial intelligence, marketing, tech marketing, startup marketing, pros and cons of automation, etc. Use tools such as Ahrefs or SEMrush to search for relevant long tail keywords and then write blogs around them or include them in your FAQs. Long tail keywords account for almost 70% of all web searches. Typically speaking, long tail keywords are characterized by a low search volume, low competition, and high conversion rate. This means that they are easy to rank for. With long tail keywords, you can better target the search intent and convert specific searches into footfalls on your website. 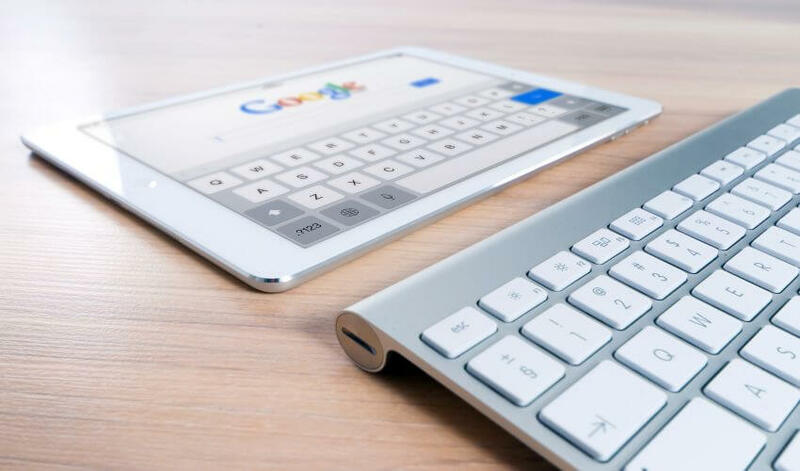 Using long tail keywords and optimizing your website will not only help your tech startup to win at SEO, but it will also help you conquer the current trend of voice search. A recent statistic suggested that a whopping 55% percent of millennials use voice search daily. This means they talk into their smartphones or smart home devices to get search results. Since voice search requires the user to talk their query out means they have to use relevant long tail keywords. ‘Find a smartphone repair center near me’ is the sort of voice search most people would resort to. Being a tech business that offers cutting edge products, it would be wise to optimize your website for the latest tech trend of voice-based search. The obvious and primary use of long tail keywords is to ensure that your website enjoys a higher rank on search engines. This means outranking your competitors and strategically catering to specific search intents of users looking to find your business or your core competency. By including relevant long tail keywords in your blogs and overall website content, you can definitely rank higher than your competitors. For instance, ‘AR’ or ‘Augmented Reality’ will surely have millions of search queries and they will also have a high keyword difficulty. However, ‘Augmented Reality Apps’ may have fewer search queries and lower keyword difficulty. By using specific and highly relevant long tail keywords means you can better optimize your website content. If your tech business is developing an AR-based product such as a game or an app with an intention to sell or to get people to download your app, then you should consider tightening your SEO strategy by introducing long tail keywords to the equation. Google loves fresh content. New content peppered with target long tail keywords will boost your SEO and catapult your content marketing to the next level. However, you need to be consistent with quality posts that add value to your visitors and contribute to your overall marketing objectives. Furthermore, you need to use your target long tail keywords within the URL, title tag, and body text. You can also use long tail keywords in the alt text for images. Blogging is a great way to enhance your content marketing activities as well as an effective practice to augment and boost your SEO rank. And if one of your New Year’s wishes is to enhance your blogging, we have for you 4 killer practices to apply in 2019. Did you know that the average conversion rate for long tail keywords is 36%! Having said that, you can’t simply expect to multiply your conversion rates through the roof by simply inserting relevant long tail keywords. Long tail keywords act as a catalyst to boost your Conversion Rate Optimization index via a surge in organic search traffic. Also, it’s far more economical to hunt for relevant long tail keywords and includes them in your blog posts and FAQs rather than invest in a PPC ad campaign. Keyword research is the foundation of your organic marketing strategy. To fuel your SEO plan, it is wise to invest time and effort in finding the most relevant keywords for your website.